I Just create a POS system and using EIP for the item entry. 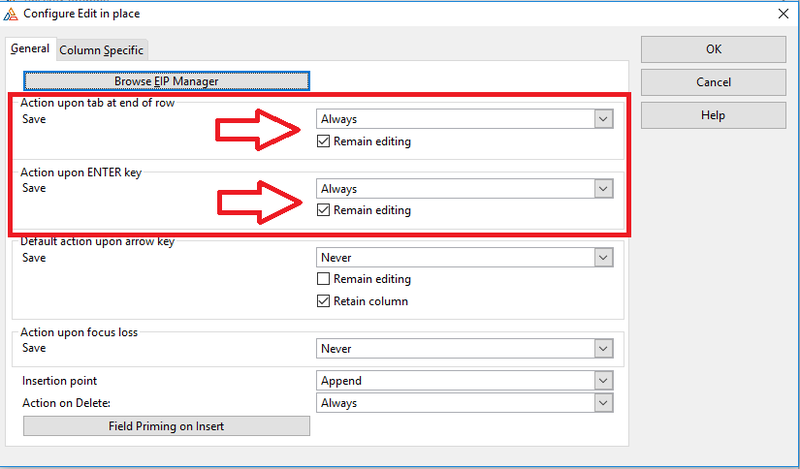 I need to know how does to make the EIP auto append into next row after the last row has entered? Just set “Action upon tab at end of row”. See Image below.